« Now you see me. Now you don’t. Modern digital cameras are fabulous things. They have a level of performance and sophistication that we could only have dreamed of 10 years ago. To me, the most important feature of a digital camera is the instant review of the images. You can see straight away what you have taken, and this gives you the freedom to experiment and be creative with your photography. This opens up a wealth of possibilities. You can search your environment looking for images, and it’s fantastic what you can find there. 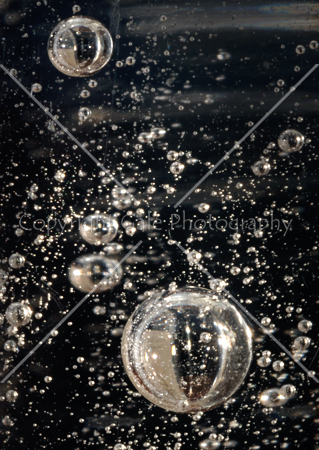 As an example, this image is of bubbles in a bottle of clear shampoo. I used off-camera flash to make the lighting directional, and to give a black background. The image was taken in my photographic studio near Swindon, but could just as well be done in a darkened room on a table top. It was easy to try again with a new bubble pattern just by shaking the bottle. Because shampoo is nice and thick, the bubbles rise very slowly, which gives you more time to get them just right. 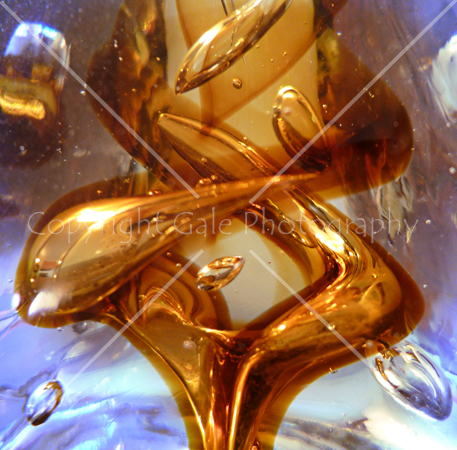 The abstract image above was taken with a Panasonic Lumix compact digital camera set on close-up/macro. It’s of a glass paperweight (so the bubbles rise very slowly indeed! ), which was on a shelf lit by natural daylight. I rested the camera on the shelf to get the right angle, and to reduce camera shake. Result: an instant abstract image. 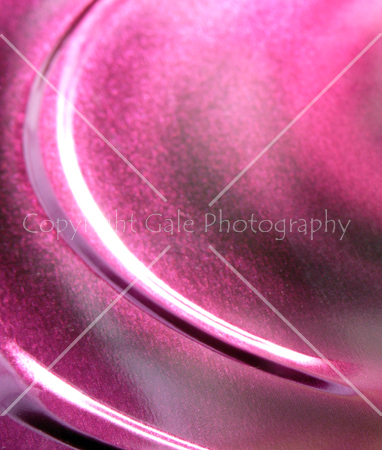 This final image was of another paperweight, which had a lovely metallic sparkle to it. My initial images showed more of the paperweight, but I kept taking images, reviewing them, and eventually reduced the image to just the shapes and colours shown here. It shows that sometimes less is indeed more. Again it’s taken with natural lighting; the image was there waiting, and just needed to be found. These images show that there are great photographic subjects everywhere. They are often quite easy to take, but much harder to see. If you would like to learn how to see, and take, images like this, why not come on my “The Creative Eye” photographic training course, or on a fun Photo Trek? This entry was posted on February 18, 2010 at 4:26 pm and is filed under Creative Photography, Photo Tips, Photographic Training, Photographic workshops, Studio Photography. You can subscribe via RSS 2.0 feed to this post's comments.